Navdeep Singh Johan had his kirpan—a sword that he carries for religious reasons—taken away and then returned by Harvard administrators. A Sikh student at the Harvard Summer School who carries a kirpan—a sword worn sheathed and under clothing by baptized Sikhs as an article of faith—had his kirpan taken away from him in mid-July by Harvard administrators, though pressure from a Sikh advocacy group caused Harvard to return the kirpan soon afterwards. Administrators first contacted the student, Navdeep Singh Johal, on July 6 and asked him to provide information about his kirpan. Johal contacted the Sikh Coalition, a group started by former Harvard Divinity School student Harpreet Singh in the wake of the September 11, 2001 terrorist attacks in order to educate Americans about the religion and stem the rising tide of hate crimes against Sikhs. Amardeep Singh Bhalla, the Coalition’s legal director, provided Harvard with a 28 page document outlining the religious meaning of the kirpan and legal precedents permitting Sikhs to carry the kirpan, including cases in Detroit, New York, Dayton, Ohio and Los Angeles. On July 12, Johal was asked to meet with Dean of the Summer School Robert Lue and with William Holinger, the director of the Summer School’s Secondary School Program. They asked Johal not to wear his kirpan while they researched and considered “safety issues,” Johal said. The kirpan is worn by Sikhs as a symbolic commitment to protect the weak and ensure peace and security. Johal also said that he was asked if he would continue to attend Harvard Summer School if he was not allowed to wear his kirpan. Soon after, Singh Bhalla e-mailed Professor of Comparative Religion and Indian Studies Diana L. Eck, the director of Harvard’s Pluralism Project, requesting help with the “urgent matter,” Singh Bhalla said. Less than four hours later, Johal’s kirpan was returned to him and his parents were contacted by Summer School Dean of Students Christopher S. Queen “letting them know [administrators] were sorry about what happened,” Singh Bhalla said. A spokeswoman for the Division of Continuing Education, Linda A. Cross, confirmed that after administrators conferred with a University attorney, the Office of the General Counsel authorized the Summer School to allow Johal to carry his kirpan. According to Eck and Cross, Harvard has not encountered this issue before. 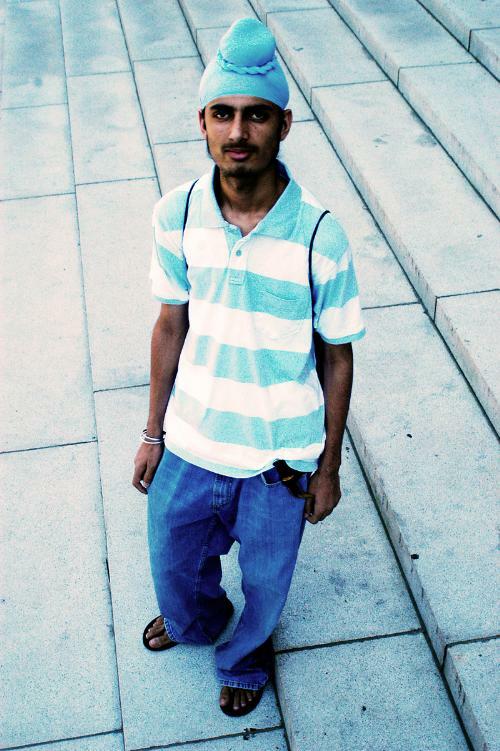 Singh, who is currently a graduate student at the Graduate School of Arts and Sciences, said that he wears a kirpan, but “most people don’t know.” He guessed that “maybe two or three Sikhs including myself” currently carry kirpans at Harvard. He said that he is pushing for Harvard to adopt a formal policy that will recognize Sikh’s right to carry the kirpan. Queen, a lecturer on the study of religion, wrote in an e-mail yesterday that he has suggested that the Pluralism Project make recommendations to the University about adopting a formal policy on the issue. —Staff writer Allison A. Frost can be reached at afrost@fas.harvard.edu.